A visit to Kyoto is usually synonymous with temples, traditions and history. Famed for having over 10,000 shrines, most visitors stick to the cityscape and often overlook the idyllic countryside enveloping the city on three sides. In a break from the norm, embark on a serene mountain escape to one of Kyoto’s best hiking trails amidst some of the finest koyou colours; radiant reds, auburns and golds, and top it all off with a soothing soak in the healing waters of one of the many onsen (hot springs) along the way. You can head to the hills in any season as each trail way is easily accessible and ideal for even inexperienced hikers without the need of any specialist equipment. Just remember to take your camera as the views offer some incredible photo-ops. A short bus ride from central Kyoto stands Mount Takao. 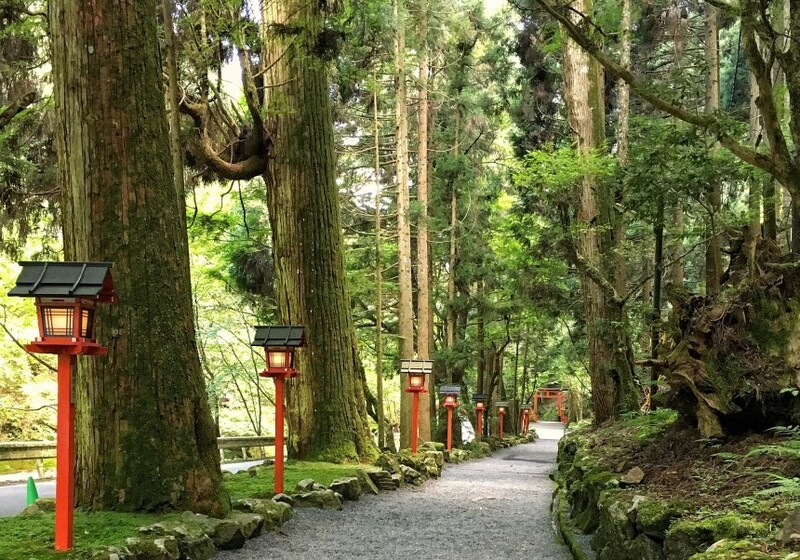 One of the best day hikes from the city, the trail starts in the tiny mountain town of Takao. Take a bus from Kyoto station bound for Toganoo (栂の尾) or Shuzan (周山) and alight at the Yamashirotakao stop. From there the trailhead is clearly signposted. 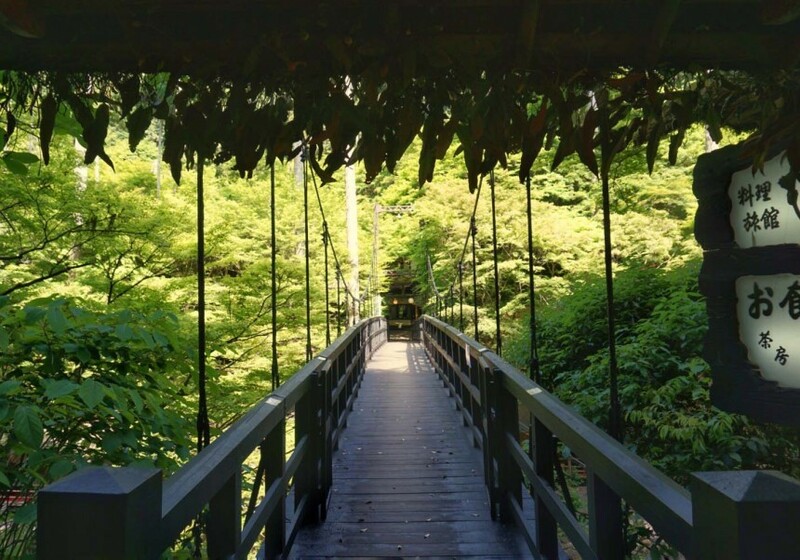 Lose yourself in the giant Japanese cedar trees running alongside the crystal clear river. The backdrop, a sea of maples that shine a thousand shades of orange, is at its most beautiful at this time of the year. There are a number of temple complexes along the route that are worth visiting, Jingo-ji and Kozan-ji are two of the most popular, but still not overrun with tourists who generally opt for the larger and more well-known temples in the city. 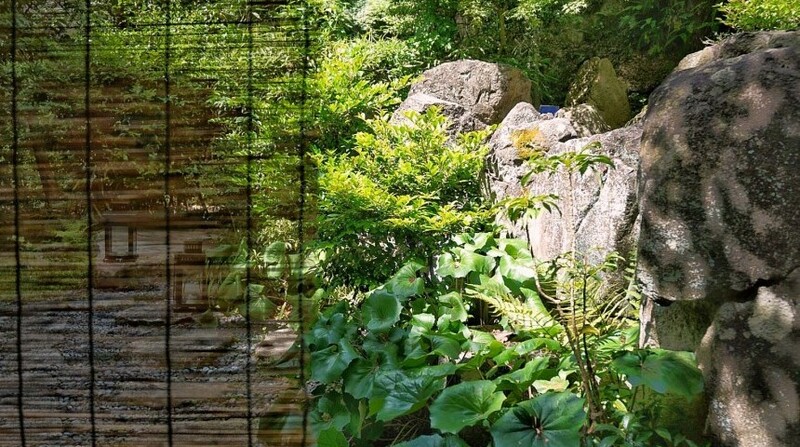 If you’ve had enough of temples and would rather stick to unspoilt nature, walk the path to the wonderful Kuya-no-taki waterfall before continuing on the trail to Hozukyo, where you can catch a train back to Kyoto. The route can be reversed, starting at Hozukyo and following the Kiyotaki river path to Takao, where you can hop in a hot spring at one of the many ryokans (traditional Japanese inn) set within the town’s lush mountain backdrop. 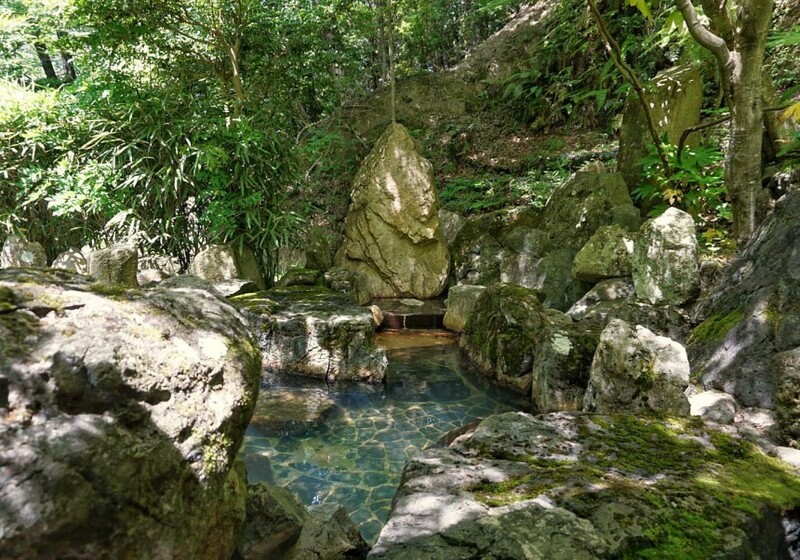 Momijiya Bekkan Kawanoiori has secluded open air baths, perfect for easing aching muscles after a long day’s hike. 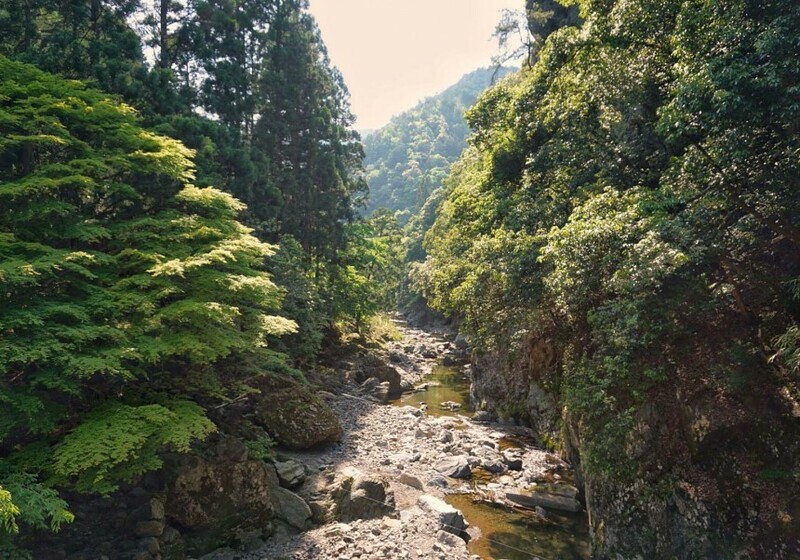 From Hozukyo station, you can also join the Akechigoe course of the Hozukyo Hiking Trail, taking you westwards towards the beautiful rural town of Kameoka. The area is famous for growing yuzu, which is often incorporated into local delicacies like yuzu chicken sukiyaki. 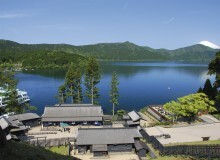 Many ryokans offer lunch and bathing packages to relieve weary travelers after a morning of hiking. 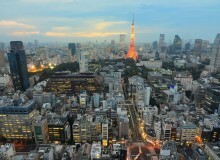 The best in the area has to be Sumiya Kiho-an, a regular haunt of Yoko Ono and John Lennon when they visited Kyoto. The open air bath is a tranquil hideaway. The restaurant has recently been beautifully refurbished and the food is seasonal and sumptuous. Kibune is another wonderful walking area high on the list for an afternoon of hiking and hot springs. Located just north of the city, it can be reached via the Eizan railway, which has a particularly lovely maple tunnel. Kibune has a truly magical feel—hiking here is like something from a storybook. Alight the train at Kibuneguchi station and walk the mountain road to the small town just a little further north. From here you can while away a day exploring the riverside restaurants, onsen and temples. Or, for those who want a slightly more challenging hike, head on up over the mountain path to Kurama, which also has its fair share of healing hot springs. Kibune Ugenta has multiple baths, cosy rooms and mouthwatering food, making it a prime spot for a night away from the city.